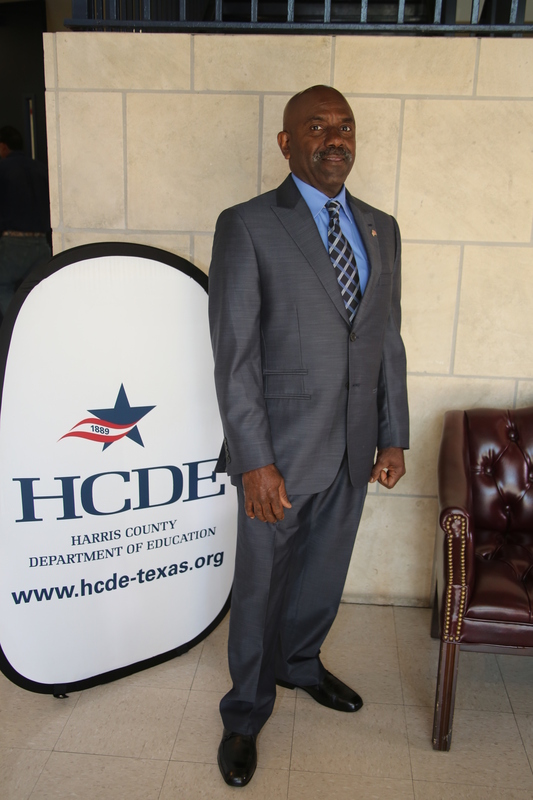 When approximately 80 adult learners don red robes to receive recognition at Harris County Department of Education’s Adult Education graduation ceremony on May 20, Anslem Alexander will proudly be among them. For Alexander, a native of Trinidad and Tobago (an island nation in the Caribbean), the event will be the emotional culmination of a year-long endeavor to earn his GED. Given that his educational goals have had to compete with working full-time and being a father, Alexander has not always had an easy time focusing on his studies. Still, Alexander didn’t view whether to pursue his GED as a tough choice. In addition to expanding his professional opportunities, Alexander said his elevated educational status comes with a new level of dignity. “I felt like a million bucks,” Alexander said, when he learned that he had completed the requirements for the degree. As far as next steps go, Alexander has already enrolled at Lee College in Baytown to start courses in the fall. He will be pursuing his dream of becoming an electrical engineer. Tears came, they just didn’t fall,” he said, laughing.